As if the shortage of homes for sale wasn’t severe enough, now rising interest rates are making the spring buying season extra challenging across the nation. The latest analysis and forecasting of market information by organizations such as National Association of Realtors (NAR), the St. Louis Federal Reserve, and Realtor.com highlights the shortage in inventory. Meanwhile, the California Association of Realtors (CAR) is reporting some good news in California. Read on to get the latest data, but don’t take it all as a sign that you should abandon your plans to buy or sell a home. 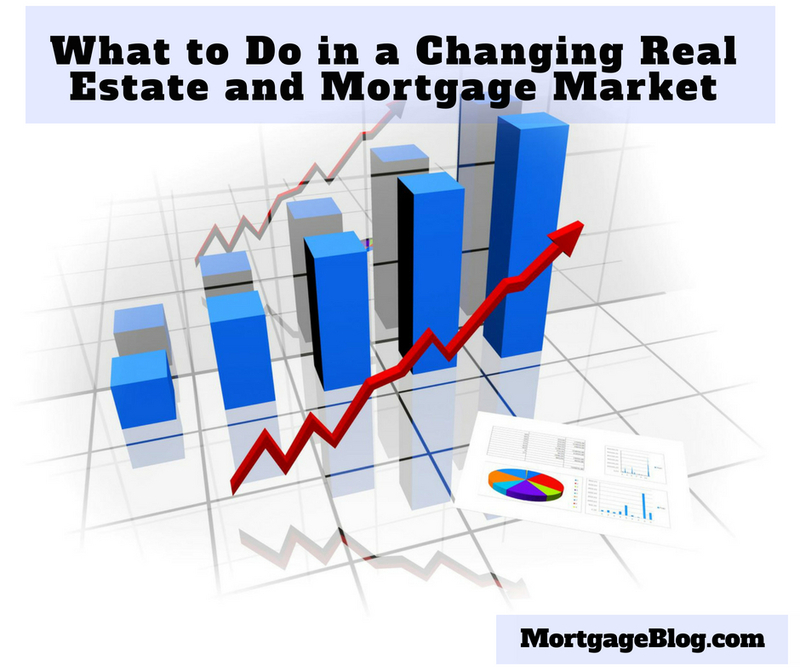 You just need to know what to do in a changing real estate and mortgage market to beat the odds. 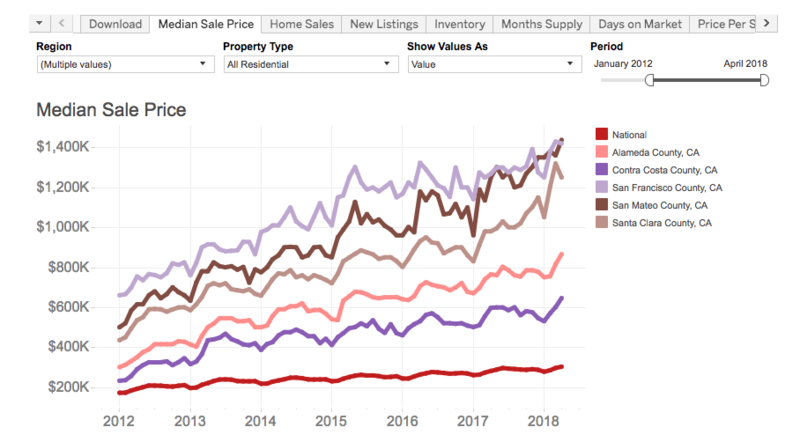 Statistics from Zillow focusing on the California market overview, projected into April 2019, predicts a 9.4% increase in median home prices as seen in the chart below. While the following chart from the St. Louis Federal Reserve compares the median sales price in the five Bay Area counties to the nation. This data is also confirmed by Fannie Mae in their May 2018 Economic Developments. California had some good news last month in C.A.R.’s April 2018 resale housing report, with President Steve White stating “After nearly three years of decline in active listings, we’re finally seeing an improvement in the availability of homes for sale, which is encouraging for prospective buyers as we enter the busy spring home-buying season.” This increase applied to homes above $300,000. With mortgage rates nearing their predicted level of 5% by the fourth quarter of 2018, now is the best time to buy a home. Even though they’re increasing now, interest rates won’t be this low again for years. Locking in the lowest interest rate you can, as soon as you can, is the most critical step you can take, but not the first step. Also, be as ready as you can be before you become an active buyer. Now is the time to do all the things that you’ve heard and read about becoming mortgage ready. Check your credit and work on any issues you find. Conserve your cash for the down payment and closing costs by diverting excess funds from debt reduction into savings. You’ll need to have the source of the money you estimate you’ll need to be identified and ready. This can include your savings, a gift from family, a pending bonus, or possibly a loan from your retirement account. Wherever your money is coming from, think it through and research any steps to gather the funds that aren’t currently in your accounts. At the same time, interview lenders and choose one to work with so you can begin the credit approval process. The credit approval process is different than a full mortgage approval because it happens before you have a property. A buyer with a full credit approval, compared to a formal pre-approval, can potentially compete with cash buyers. Aside from an appraisal and possible review of a homeowners association, they’re ready to close their mortgage loan quickly. Once you’re completely ready and credit approved, interview real estate agents that are active in the area you’ve targeted. Pick one to work with and begin the final steps of getting educated on what your credit approved loan amount and cash can purchase. Be sure to pay attention to the market value of the homes and not the list price. Follow these steps, and you’ll be locking in contract on the home of your dreams and locking in an interest rate before you know it.